Remove core from lettuce; cut in half. Cut each half into 3 wedges. Place each wedge on individual salad plate. 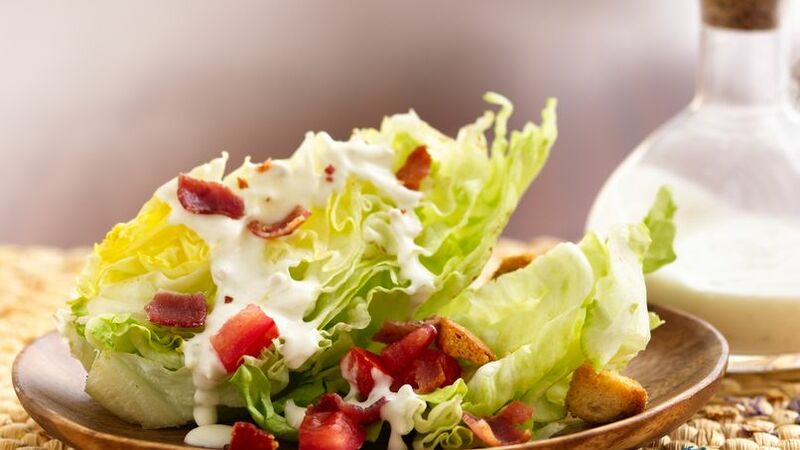 Drizzle dressing over each wedge; sprinkle with tomatoes, bacon and croutons. Serve immediately. For less fat, use reduce-fat or fat-free dressing.